Minecraft PE Ocean Ravine Seeds for Minecraft PE/Minecraft Bedrock Edition. These seeds have an ocean ravine at or near the game spawn point. View all Minecraft Seeds or all Minecraft PE Seeds. 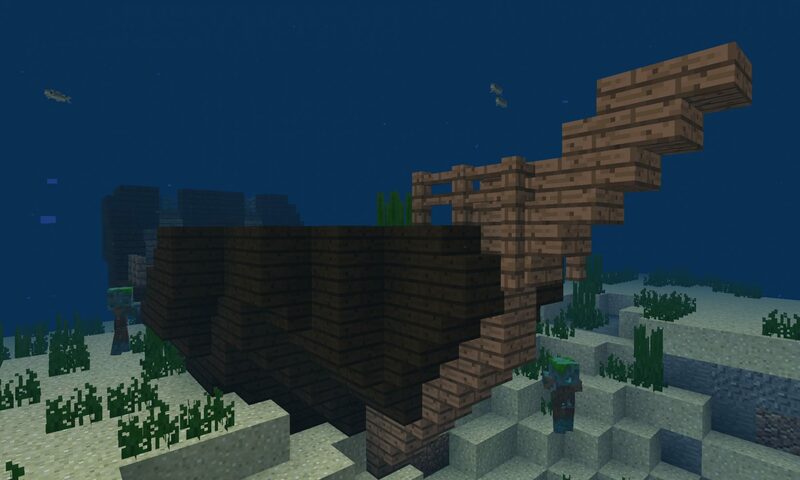 In this Shipwreck Seed for Bedrock Edition players of Minecraft PE you spawn on an island with a shipwreck offshore (including a buried treasure map). A Minecraft PE Seed (Bedrock) for 1.6, 1.7, 1.8 and higher.